The first year of our life is generally spent growing, exploring, and going through an intensely uncomfortable experience known as teething. This experience starts us on the road to getting the 32 teeth that will last us throughout our lifetime, though the last won’t come in until we’re in our 20’s. It’s during this period of our life that we begin to see the arrival of wisdom teeth, a third set of molars that develop in 50% of patients. For most of these patients this is a painful time, and these new teeth have to be removed before the do irrevocable damage to a mouth that doesn’t have room for them from impaction. What Will I Experience If I’m Getting An Impaction? Discovering that you’re dealing with an impaction without your dentist’s assistance is a painful experience involving the realization that one of your teeth is damaged, your jaw is continuously sore, a tooth has partially erupted through your gums at the back of your mouth, or that your teeth are out of alignment. Regular visits to your dentist for a check-up will help you notice these changes early and be able to avoid the worst of the complications and painful experiences associated with impaction. What Can Happen With Untreated Impactions? If you go for any length of time not being seen for your impaction the end result is going to be painful, and potentially cause long-term damage to the structures of your mouth. Orthodontic repair can resolve some or all of the issues, but that is both costly and unpleasant in and of itself. Over time you may develop cysts, tumors, infections, chipped or cracked teeth, misalignment of your teeth, and even problems with your temporomandibular joint. 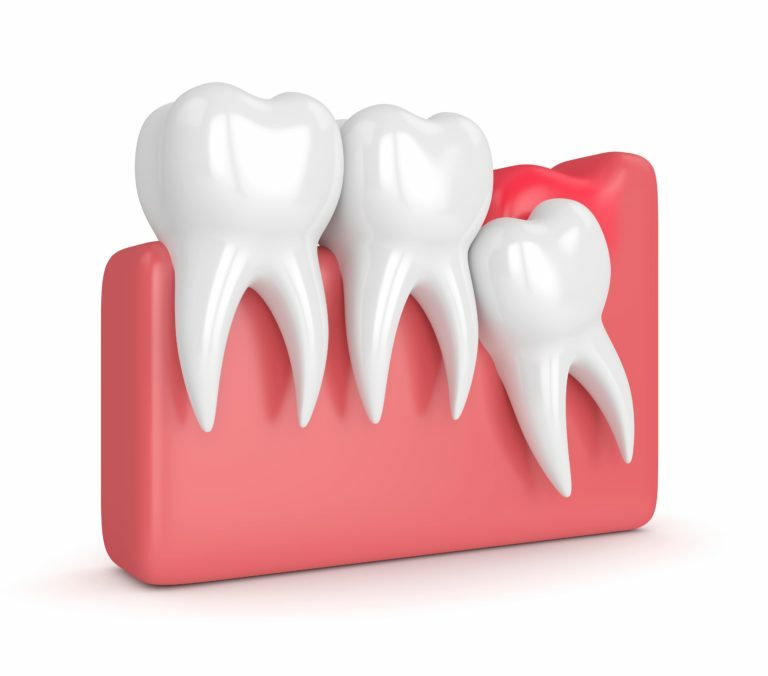 Removing the tooth that is causing the impaction is the only way to resolve your pain. There are a number of ways in which an impaction can form, and there are six different terms that have been developed to describe these states based on certain criteria. The first set of terms describes the direction which the tooth is coming in, towards the front or back of the mouth, parallel to the jaw line, and coming in normally (but without sufficient room). These terms are medial, distal, horizontal, and vertical. The other two terms describe other elements of the impaction, which are soft tissue and bony impactions. These indicate that the tooth is breaking through the gums or into other soft tissue, or is encased in bone. If you’re living with the pain and discomfort of impaction its time to get to your dentist to seek relief. Dr. Amanda Rae Kronquist is available to see your family at their office in Santa Ana CA, the Sunset Dental Group. Working closely with the community to provide excellent dental care Dr. Kronquist has been an important part of the Santa Ana area, and is proud of both her practice and her staffs ability to meet their needs with compassion and dignity. Make an appointment today to help resolve concerns with your dental health today.